Weekend trips to Finland were my very common pastime since when I lived in Russia, ever since I bought a car in 2015. St. Petersburg where I lived is 200 km away from the Finnish border. Although Finland is a rather large country, it still was feasible to explore a large fraction of Southern and Eastern Finland, especially when it was possible to go for three days rather than two. And of course since I moved to Finland that became even easier, although for now I’m mostly focusing on Ostrobothnia region where I live. Here are some of my trips, although that’s less than a half of all of them. A visit to one of the bigger Finnish cities, 100 km away from Helsinki, known for its ski games. Ankkuri and center (Keskusta) areas. A visit to one of the bigger Finnish cities, 100 km away from Helsinki, known for its ski games. Laune and Salpausselkä areas. 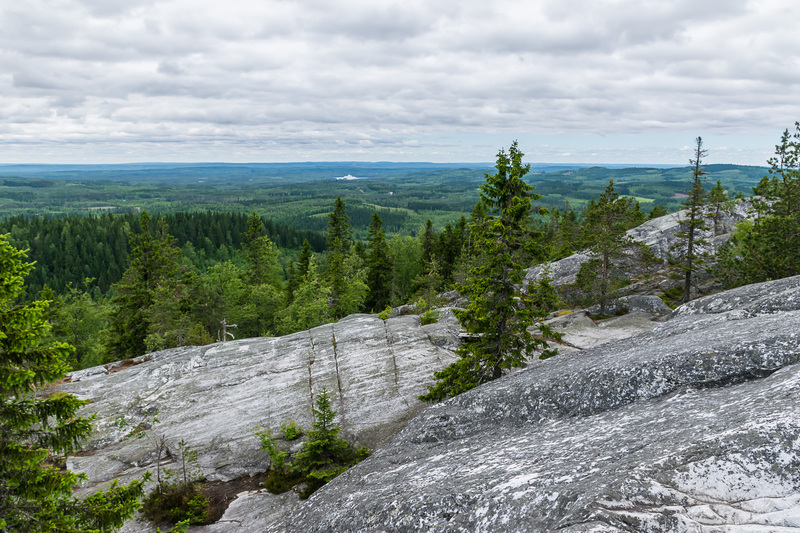 Nice pictures from a trip to Finnish Karelia in late September. The final post about Loviisa. The remaining coastal fortifications and the nearby garrison quarters. Svartholm, a ruined 18th century Swedish sea fortress off the coast of Loviisa in Southern Finland, now a quiet place of meadows, pines, and sea breeze. Loviisa, a small Finnish coastal town some 90 km east of Helsinki, formerly a Swedish border fortress and now the site of one of two Finnish nuclear power plants. Random Finnish nature on a nice 8 km hiking trail near the town of Loviisa. Strömfors heritage iron works in Ruotsinpyhtää village near Loviisa, Finland. A few places in Finland closest to the very beginning of Russian border at the southeast, and a bit of Valkmusa National Park. Savonlinna, the prettiest city of the Finnish Lakeland, a medieval castle and a modern cozy town surrounded by Saimaa lake and its islands. Joensuu, the capital of Finnish Northern Karelia, a fairly run-of-the-mill Finnish city. Vantaa, the northern major suburb of Helsinki, and a few of its residential neighborhoods. A walk along the Vantaa River, the biggest river in Helsinki. A late autumn weekend trip to Helsinki and its suburb Vantaa, starting with Helsinki downtown. A Finnish city on an island, with nice museums and some interesting Russian history. A small old border fortress town on the coast of the Gulf of Finland, keeping its fortress layout and strong Russian influences. Bunkers and fortifications remaining of Salpa Line, Finland's last line of defense in the Continuation War of 1941-1944. The southeasternmost region of Finland. Pitkäthiekat Camping and a fragment of old King's Road in Virolahti.